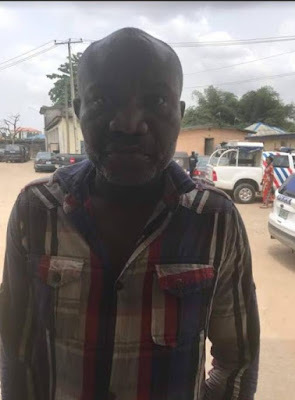 A notorious robber who operates under the pretext of being deaf and dumb has been arrested in Lagos. The man identified as Emeka Anthony Uche was arrested by Operatives of the Rapid Response Squad (RRS) of Lagos Police command on Tuesday. The suspect ran out of luck on Tuesday after CCTV footage revealed one of his escapades. The man is said to be known for pretending to be deaf and dumb in order to steal from unsuspecting men and women. According to reports, Uche specialized in sneaking into peoples’ offices, steal laptops, mobile phones and other valuables in broad daylight. CCTV footage of his exploits have been compiled by the police for him to be arraigned in court.